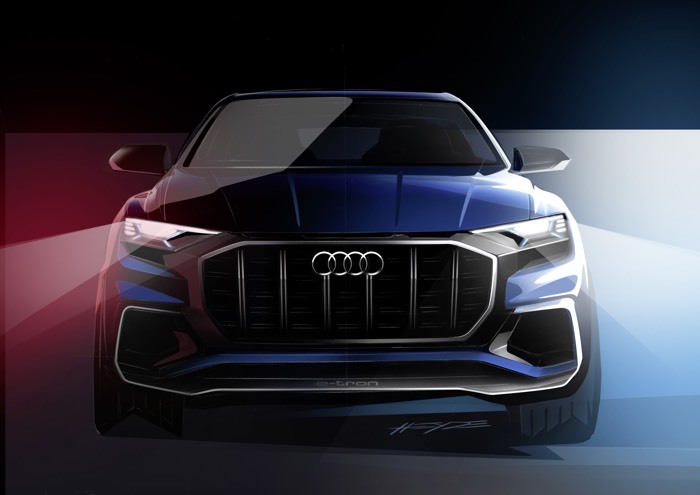 Audi has announced that it will show off a new concept car at the North American International Auto Show (NAIAS) in Detroit next month, the Audi Q8 Concept. 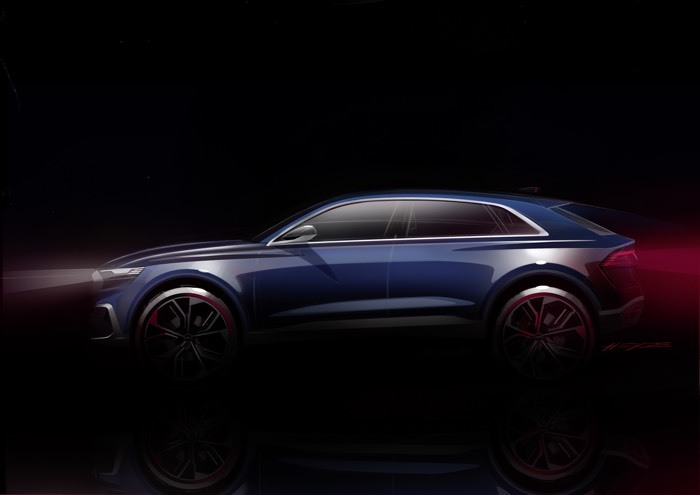 The Audi Q8 Concept is expected to be the top model in Audi’s Q line of SUV and the car will be packed with the company’s latest technology. The study vehicle’s front end is imposing. The octagonal Singleframe is considerably wider than that in Audi’s current production models. It is positioned well forward, with three-dimensional sculpting. Many design elements of the Q8 concept are reminiscent of the Audi Ur-quattro of the 1980s. They include the extremely flat but very wide C-post, and the prominent, flared shoulders above the wheels. These balanced proportions give equal emphasis to the front and rear wheels – typically quattro. We will have more details about the new Audi Q8 Concept when it is made official at the North American International Auto Show next month.